DeKalb Health Imaging Center offers electrocardiogram. An electrocardiogram — abbreviated as ECG or EKG — is a test that measures the electrical activity of the heartbeat. With each beat, an electrical impulse (or “wave”) travels through the heart. An ECG or EKG shows the activity as line tracings on paper. It is a quick and painless test that measures the electrical activity of the heart – natural electrical impulses that coordinate contractions and circulate blood. 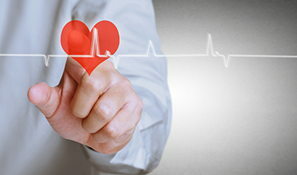 In an electrocardiogram, electrodes (small, plastic patches that stick to the skin) are placed on the chest, arms and legs and connected to an ECG/EKG machine by lead wires. The test shows how fast the heart is beating, the rhythm of the heart beats (steady or irregular), and the strength and timing of the electrical impulses as they move through the different parts of the heart. Changes in an ECG/EKG can be a sign of many heart-related conditions. ECG/EKGs can be used to look for the cause of chest pain, to evaluate problems that may be heart-related, such as severe tiredness, shortness of breath, dizziness or fainting or to determine the overall health of the heart prior to surgery. Mid-treatment, an ECG could be used to monitor how well a pacemaker is working or to determine whether heart medications are being administered in an effective dosage. In other cases, an electrocardiogram is used after a heart attack, cardiac infection, or after heart surgery or cardiac catheterization to assess recovery.